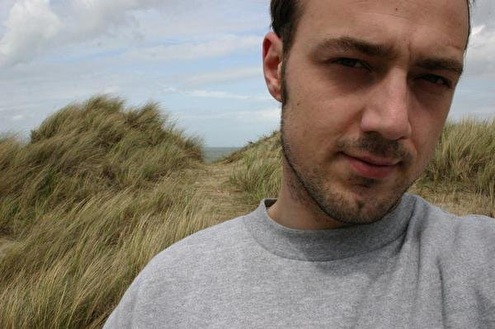 Seba Lecompte, born and raised in Gent (Belgium), got infected by electronic music as a teenager. Around summer 1994 Seba began to collect vinyl and started to dj. Influenced by the sounds of Detroit & Chicago, his style evolved to an upfront, techy and warm mix of techno and (tech-)house. Over the years Seba heated up dancefloors all over Belgium. Highlights of 20 years behind the decks are his sets at places such as Fuse, Kozzmozz, I Love Techno, 10 Days Off, Cityparade, Café D'Anvers, Decadance, Club Silo, Laundry Day, Culture Club, Cherry Moon, Made In Brussels, Ultra, Muzzic, ... and many more. Seba also regulary plays abroad. These past years Seba played in Berlin (Zementgarden, Raum-Klang, Club Solar, Stella's, Hangar 49, Sanatorium 23, ...), Amsterdam (Sugarfactory, Paradiso, Stubnitz boat, Radio XT3), Paris (Folies Pigalles, OPA, Jett Club), Nijmegen (Doornroosje, Planet Rose, The Old Cave) to name a few. Since 2004 till present, Seba is one of the resident dj's at Club Decadance in Gent, playing on a weekly base. Between 2006 and summer 2008 Seba earned a monthly resident spot at the (in)famous Fuse club in Brussels. Besides deejaying Seba is also active as a producer and was involved in two past projects 'Wings Of Sound' and 'Double Shift'. As 'Wings of sound' (a collaboration with Kim Kurz) Seba released his debut 12" in 2004 on the London based imprint Eukatech, with follow ups on Floor Music, Mixed Music and Punk'Id records. These releases got support from top notch artists like Jeff Mills, Laurent Garnier, Carl Cox, Xpress2, Marco Carola, Marco Lenzi, Michel De Hey, Shinedoe, Valentino Kanzyani, Ben Sims, Steve Bicknell, Terry Lee Brown jr. and many more. As 'Double Shift' Seba teamed up with Shimakum and did releases on labels such as DND Records, Manual Music and Stolen Moments. Seba is also active as a promotor, organising events in and around his hometown Gent. He is one of the driving members of different past and current party concepts: SoundAttack (2000-2006), Minor Moves (2004-2008) and Bang The Box (2008 till now).